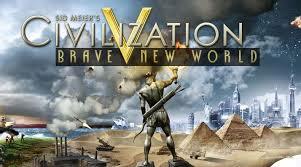 Civilization V is probably my favourite strategy game at the moment; I’ve lost count of the hours I’ve spent clicking away on this game and so I was delighted to hear that there’s a second expansion pack, titled Brave New World, due for release on 12th July in the UK/9th July in North America. However, the first expansion, Gods & Kings, was quite disappointing as it didn’t provide enough content to justify it’s £20 price tag. Brave New World is currently available for pre-order at the same price so will this one give us our money’s worth? – American Civil War: Fight the “War Between the States” from either the Union or Confederate side as you focus on the critical Eastern theatre of operations between the capital cities of Richmond and Washington. – Scramble for Africa: The great colonial powers of the world are scrambling to explore the Dark Continent and extend their reach into its interior. Search for the great natural wonders of the heart of Africa as you explore a dynamically-generated continent each time you play. The first 2 features listed, which are described as “new,” are not actually new; victory can already be accomplished by accumulating culture points and the ideologies they list already feature in the core game; the new parts are quite subtle changes to the existing features and so only one sentence from each of these paragraphs is really a new addition to the best of my knowledge, which are; “Use Archaeologists to investigate sites of ancient battles and city ruins for priceless cultural artifacts” for the cultural victory and “The choices you make will impact your relationships with other civilizations for the rest of the game” for the ideologies, although it’s not clear if new policies will be added in addition to the existing ones. As for the world congress and international trade routes, these are existing features but it appears that there will be more depth to them and these could be features that really make a difference as Civ V is quite lacking in the diplomacy area, which is a key part of the game. How much of a difference it will actually make is hard to tell without actually playing it. Gods and Kings added faith and espionage to the game and they really didn’t do that much for the game-play in my opinion, so I’m a little sceptical about how much these features will add to the experience. New wonders, civilizations and building are all well and good but some they’ve listed have featured in previous Civilization games and so I think they really should have made it in to the core game, rather than part of an expansion pack. Finally, there’s 2 new scenarios, which don’t really interest me that much; there’s only been a couple in the core game and the first expansion, which did and I didn’t play them more than once. 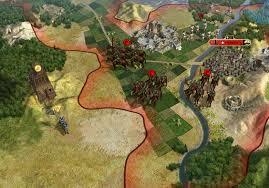 The first expansion was slammed by both critics and consumers alike, due to the lack of content for the £20 price tag; Brave New World appears to offer even less for the same price and it doesn’t offer new features to the main game, just more depth to existing ones; at least diplomacy is given some attention in this one though as it really needed some. We’ll have to wait for the release to really see if it has value for money but it looks like it won’t as far as I can see. This is not something I’ll buy at the time of release but I’m sure I will once the price drops. Please let us know if you have any views on the features detailed for this expansion. We would love to hear them. I'm a 35 year old, self-confessed media junkie from London. I currently work as a tester in digital media (some say I get paid to watch telly) and also worked as a games tester in the past. I also spend a lot of my spare time watching films and playing video games. Thankfully I have a very understanding wife, who allows me time to do so.